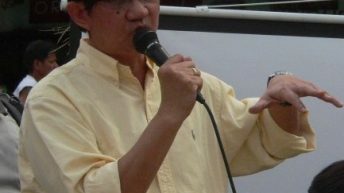 MANILA – Eugene Garcia, union president at one of the oldest and most profitable industrial glass manufacturers in Manila, just attended a hearing at the National Conciliation and Mediation Board (NCMB) on March 20 when he came home to news that the police searched his house early that morning and allegedly found a gun. Denying that he owned the gun, Garcia said the Pasig police “planted as false evidence” the .45-calibre firearm they “found” in his house. Despite this, the police arrested him. He is currently in jail in Pasig with a case of alleged illegal possession of firearms. Garcia linked his case to their labor dispute. The union led by Garcia had been holding collective bargaining negotiations with the management but it got stalled in a deadlock. Instead of bargaining with them around the workers’ demands, the company “offered” to fire the workers in exchange for a pay-out. Expectedly Garcia and the other unionists rejected it and they filed a case with the NCMB against the Pioneer Float Glass Manufacturing Inc. or PFGMI (formerly Asahi Flat Glass Corporation). He just came from one of the hearings into this case when he was arrested. Upon hearing the news, the unionists allied with the progressive labor center Kilusang Mayo Uno (KMU) cried foul and denounced the arrest of Garcia. The union Garcia leads is one of the longest surviving unions affiliated with the NAFLU (National Federation of Labor Unions), a founding member of the progressive labor center Kilusang Mayo Uno (KMU). “Unionism is not terrorism,” said KMU vice chairperson Lito Ustarez in a statement. They held a picket in front of the Pasig Police station and demanded Garcia’s immediate release. They demanded the immediate release and junking of trumped-up charges of all illegally detained unionists and labor rights advocates. 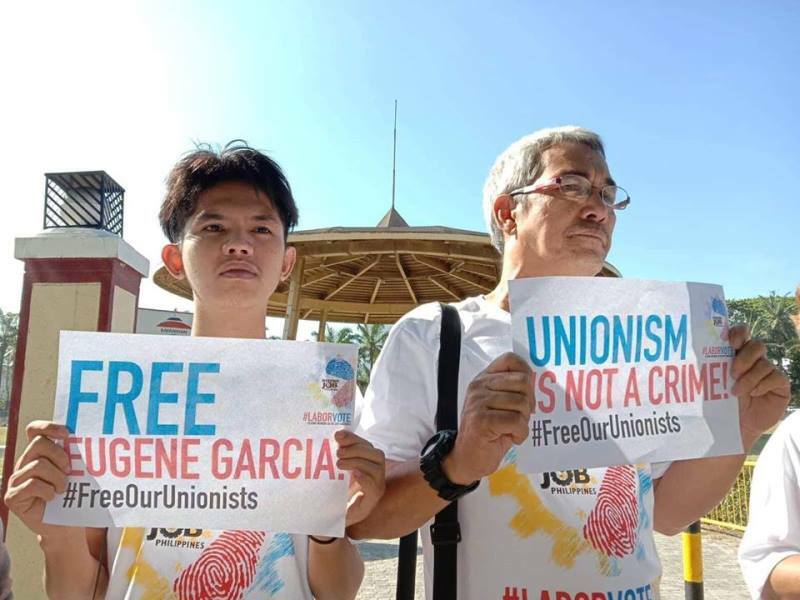 Aside from Garcia, more unionists from other regions of the Philippines have been “abducted” and jailed by the police or the military for being leaders or members of the Kilusang Mayo Uno (KMU). 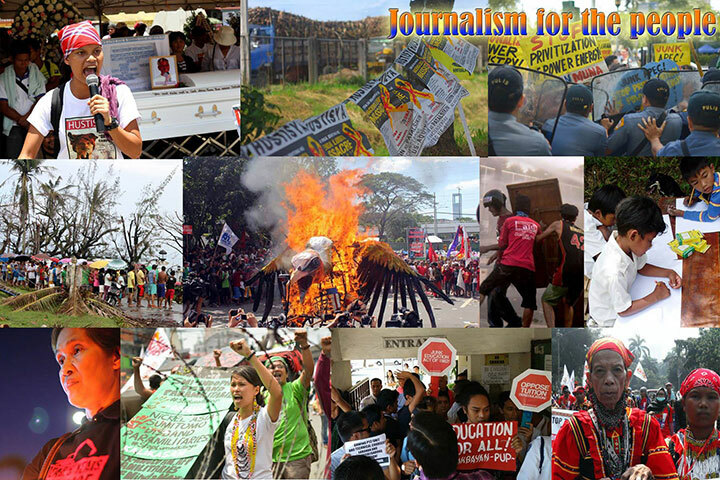 Last February 27 in Compostela Valley in Mindanao, union leaders affiliated with KMU were also seized by the military. 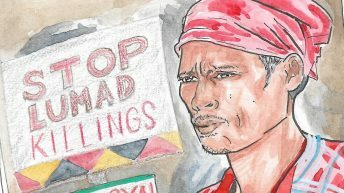 Eleazar Diayon, vice chairperson for external and political affairs of the KMU, said Musahamat Farm 2 Workers Union-NAFLU-KMU union president Esperedion Cabaltera, vice president Richard Genabe and secretary Ronaldo Rosales were “abducted and illegally detained.” The military told the union leaders that they were arrested for being members of a union identified as “a terrorist organization” by President Duterte. Cabaltera, Genabe and Rosales were released the next day after they signed a waiver that they will leave the KMU union and that they are “surrenderees” from the New People’s Army (NPA). Diayon said more union members have also been forced to sign a similar form by the Army. Where Garcia works, the workers have confronted union-busting and contractualization for years. In 2016 the KMU said the then Asahi Flat Glass Corp. (AGC) illegally dismissed 44 workers, including union officials and members in the midst of the workers’ collective bargaining negotiations with Asahi. The glass company claims it is the leading flat glass manufacturer in the Philippines. It manufactures up to 500 metric tons of different kinds of flat glass for industrial, commercial and residential uses. 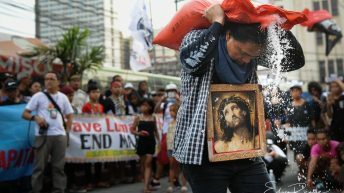 In a separate statement the labor NGO Center for Trade Union and Human Rights (CTUHR) also cited the company’s contractualization drive that has been happening over the last two decades. In 2017, TQMP Glass Manufacturing Inc. acquired AGC and changed its name to PFGMI. Pioneer Float Glass Manufacturing Inc. (PFGMI) is a wholly-owned subsidiary of WDG Group of Companies, owned and managed by Paul Vincent Go. 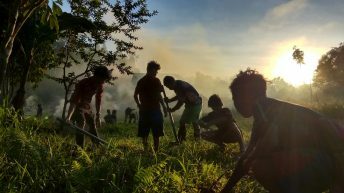 As these developed, the Philippine government is putting together its report on how it views the progress it has made toward achieving the United Nations-designated Social Development Goals (SDGs). 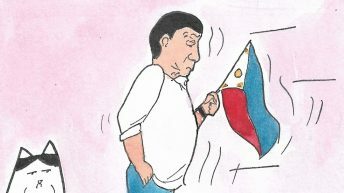 In the UN’s High-Level Political Forum set for July and September this year, the Duterte administration is among those set to report on how it has pursued the goals under review. 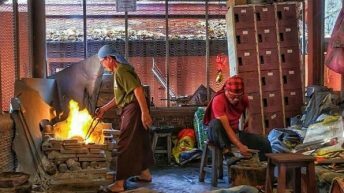 In the Asia-Pacific Forum on Sustainable Goals happening this week in Bangkok, the input to the review included the social development goals for decent employment. Want to read stories like this? Help us to continue writing about issues like this.